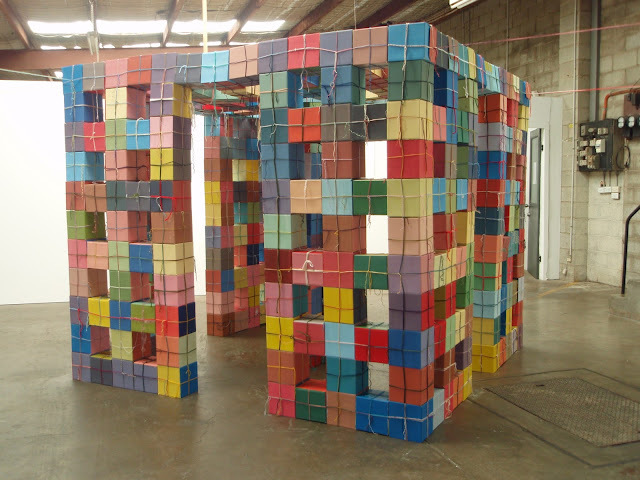 'Room Cubed' was my solo exhibition at Factory 49 in 2010. 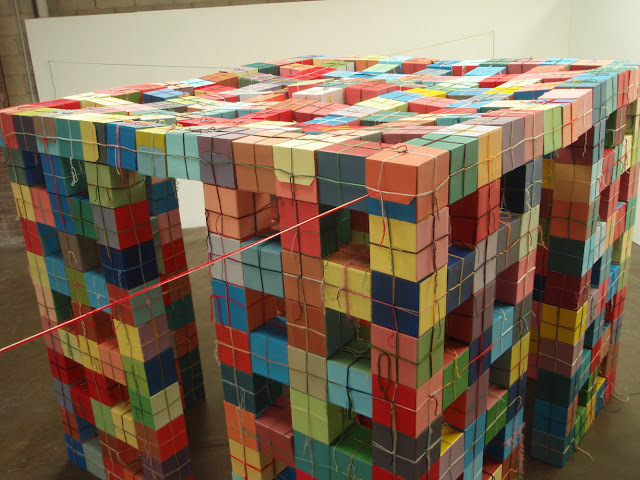 It was a large cube construction that you could walk into. 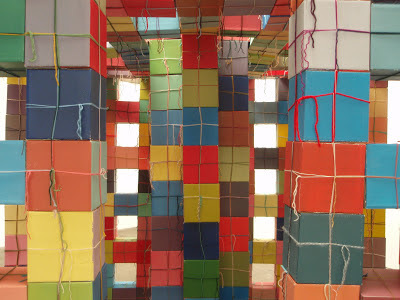 The 'walls' and 'roof' were held up by a central pillar and the whole structure was tied off to points around the room. Room Cubed - Press ReleaseIt looks like a room within a room, like architecture. It has walls and doorways and a roof. You can walk within and throughout it. But it has no real structural integrity. 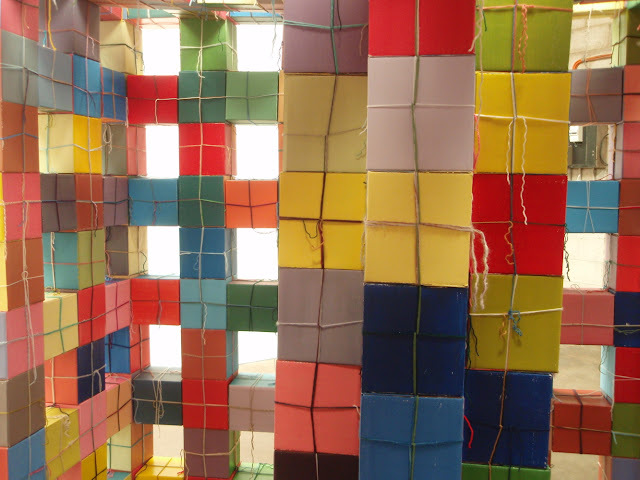 It is only cardboard, paint and yarn. 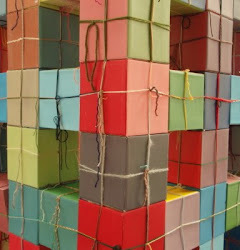 The colourful flimsy boxes are only tied together with brightly coloured scraps of wool. The cubes balance on top of each other and are tied off to the gallery walls to ensure that the entire structure does not collapse – it is only art after all. 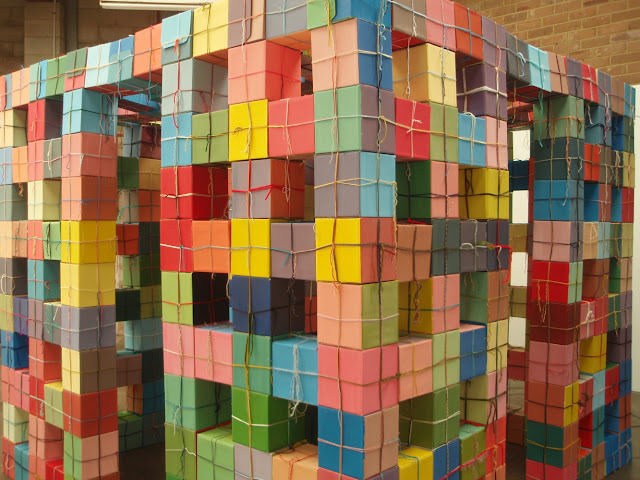 ‘ROOM CUBED’ is a continuation of Kate Mackay’s ‘CUBE’ constructions, where recycled cardboard boxes are painted and tied together in random colour combinations. 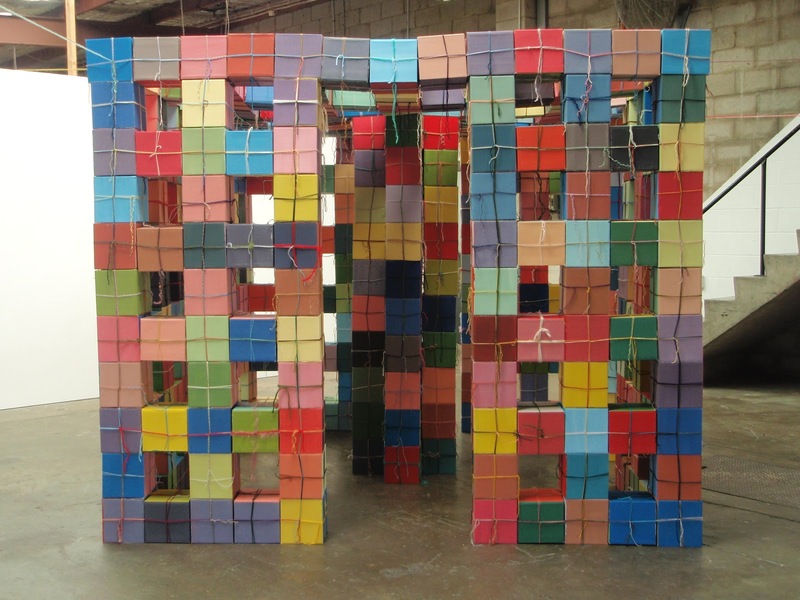 The nature of the materials allows for the creation of large sculptural pieces from small, easily managed components. CLICK HERE for a link to the catalogue for the show and CLICK HERE for a video.